The final show in the 2017-2018 AT&T Broadway Series is “Bright Star,” with performances June 12-24 at the Winspear Opera House. Bright Star received the 2016 Outer Critics Circle Award as well as a Tony Award nomination for Best Musical. 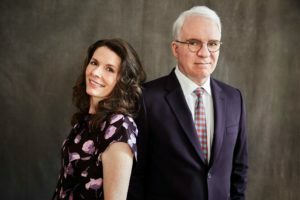 Written by Dallas native and Grammy Award-winner Edie Brickell with Grammy, Emmy and Academy award winner Steve Martin, Bright Star has been called a “gorgeous anthem to optimism!” by Variety. 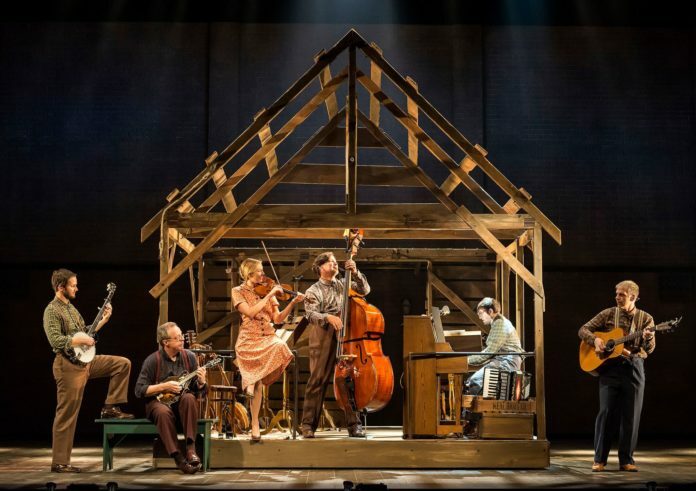 Filled with toe-tapping Bluegrass music, Bright Star is a delightful musical set in the Blue Ridge Mountains of North Carolina. Inspired by a real event, the original musical is a sweeping tale of love and redemption, set against the rich backdrop of the American South in the 1920s and 1940s. Bright Star skips between 1923 and 1945, as young, aspiring writer Billy returns home from the war. Once settled, he meets the brilliant and melancholy Alice Murphy, editor of The Southern Literary Journal. Together, in this sweeping tale of enduring love, they discover a long-hidden secret that is sure to change their lives forever. The romantic duo are witnesses to their community’s long held traditions giving way to modernity. Bright Star has a gentler pace than some of Broadway’s blockbuster musicals. But propelled by an ensemble of onstage musicians and dancers, the story unfolds as a rich tapestry of deep emotion, beautiful melodies and powerfully moving performances. The New York Times called the Broadway musical, which was nominated for five Tony awards, a “shining achievement.” The national touring production is directed by Tony award winner Walter Bobbie. Inspired by a real event, the original musical is a sweeping tale of love and redemption, set against the rich backdrop of the American South in the 1920s and 1940s. Propelled by an ensemble of onstage musicians and dancers, the story unfolds as a rich tapestry of deep emotion, beautiful melodies and powerfully moving performances. Bright Star, as refreshingly genuine as it is daringly hopeful, was termed “Broadway’s most beautiful show” by WABC. Single tickets are priced from $25-$140, and are available online at www.attpac.org, by phone at 214-880-0202, or in person at the AT&T Performing Arts Center. The box office is open from 10 a.m. to 4:30 p.m.